From helping with daily walks and feedings to building projects, your hard work will be worth it when you see the grateful faces of the animals you're helping to save! 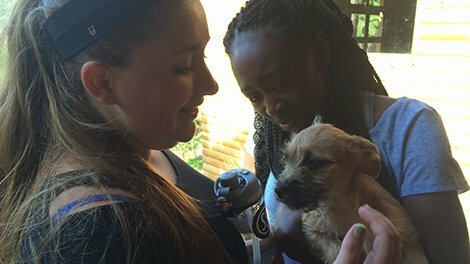 You'll have the chance to help with education projects as well that teach local kids and their families the proper way to care for animals as pets. Visit a Puma Rescue, learn about the work being done to protect Sea Turtles in the region, and spot rare animals on hikes through the rainforest. Soak up Costa Rica’s unique flavor as learn about the needs of rural communities and participate in hands-on workshops. From dancing to cooking, you'll get an immersive look into the welcoming culture of Costa Rica. After working hard to benefit the animals who call this beautiful region of the world home, hike to secluded waterfalls and scenic overlooks for unparalleled views of this paradise. Discover remote beaches by taking a surf lesson or horseback riding along pristine parts of the coast. We will also dip into el agua dulce and explore Costa Rica by raft and stand-up paddleboard, allowing us a deeper understanding of the beauty of our new home! Want More Information about Global Leadership Adventures: Costa Rica - Animal Rescue Project? 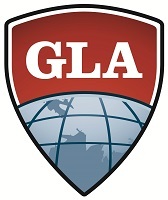 Your request will be sent directly to Global Leadership Adventures. By submitting this form I confirm that I am at least 13 years of age and give my consent to be contacted by Global Leadership Adventures by email as well as by phone and/or mail (if provided).